If Cot Campbell had not been so stubborn in his belief that partnerships were the way to attract new owners to Thoroughbred racing, the winner’s circle at Belmont Park after Justify had won the Triple Crown might have been much less crowded. 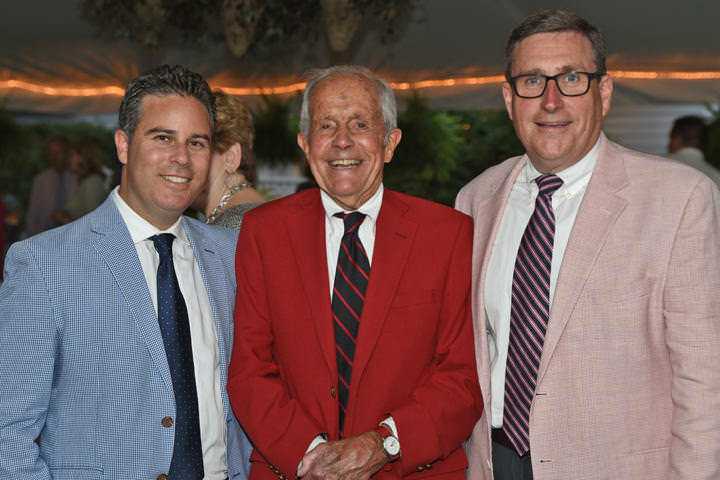 The audience at the induction ceremony for the National Museum of Racing and Hall of Fame earlier this month laughed appreciatively as the 90-year-old Campbell, whose Dogwood Stable is widely considered to have flung open the floodgates for the modern racing partnership, joined racing’s pantheon as a Pillar of the Turf. His contributions were, fittingly, recognized in a year when partnerships have taken center stage. If Campbell is the poster child for energy and enthusiasm, then Triple Crown winner Justify is the current poster child for racing partnerships, encompassing several models that have evolved over the years. The colt raced for WinStar Farm and China Horse Club, which together bought him as a yearling in a case of high-profile groups teaming up rather than competing against one another at auction; Starlight Racing, a traditional partnership syndicate; and Sol Kumin, who plays at a high level by sharing in proven commodities. Justify is no aberration. Consider the prior winner of the Kentucky Derby, Always Dreaming, whose ownership line in the program included MeB Racing Stables, Brooklyn Boyz Stables, Teresa Viola Racing Stables, St. Elias Stables, Siena Farm, and West Point Thoroughbreds. “Over 1,200 people have come into racing through Dogwood, and I believe half the people racing horses in America are racing in some sort of partnership,” Campbell said. Ownership syndicates have taken center stage in America’s most famous races in recent years. Animal Kingdom carried the colors of Team Valor International to victory in the 2011 Kentucky Derby. Just two years later, Palace Malice won the Belmont Stakes, becoming Dogwood’s second classic winner, following Summer Squall in the 1990 Preakness Stakes. Campbell syndicated horses for several years before officially launching Dogwood Farm in 1973. By pioneering the now-popular plan of group ownership, he opened the door for more people to participate in Thoroughbred racing at a reasonable cost. He is widely considered the originator of the modern racing partnership model, and several other groups began popping up in the years following. Dogwood and Team Valor, along with racing syndicates such as Donegal Racing, Eclipse Thoroughbred Partners, Starlight Racing, StarLadies, Valor Ladies, West Point Thoroughbreds, and similar groups, operate under the same premise, with their own individual nuances. General partners in the operations put up money to purchase horses, typically yearlings or 2-year-olds, and shares in the horses are then offered to investors. Buying into a horse in partnership offers less risk, especially for nascent owners, than an outright solo purchase – although low-stake ownership is by no means a guaranteed profit enterprise. Five years ago, Dogwood and Eclipse, which had begun to develop a working relationship and share facilities, merged operations as Campbell began to scale back his work. New horse purchases were made and managed by Aron Wellman’s Eclipse, with Jack Sadler, who had served as Dogwood’s vice president for 37 years, becoming vice president of operations for Eclipse. Additionally, the group’s financial operations were streamlined under a single chief financial officer, former Dogwood treasurer Bill Victor. Eclipse also has tasted classic success recently, with Tapwrit carrying its silks home in the 2017 Belmont Stakes. The partnership had teamed up with Bridlewood Farm and Robert LaPenta in order to acquire the colt for $1.2 million at the Fasig-Tipton Saratoga selected yearling sale – and also to spread the risk.